Lauren is a Principal Consultant at Liberty Advisor Group. She drove several successful B2B engagements to help clients reach sales and partnership goals. Her expertise is primarily in rapid operational and contingency planning as well as analysis of information to help client leaders to make the best decisions for their company. She also has experience in managing the implementation of new software to ecommerce and customer service support suites. Prior to joining Liberty, Lauren had over 12 years experience in risk management, communications, diplomacy, analysis and team leadership experience from her time in the Navy as a surface warfare officer and intelligence officer. Lauren joined Liberty to help executives make their companies more efficient, more profitable, and overall better places to work. She believes that consulting parallels intelligence analysis: information requires analysis to see its significance. Lauren enjoys providing the “so what” from data analysis to help executives make the best decisions to improve their bottom line. Smart mobility integrates all modes of transportation via wireless communications and applies real-time data analytics and machine learning to make transportation safer and more efficient. There is evidence to suggest that smart mobility has the potential to save lives, reduce pollution and save industries and taxpayers billions of dollars annually. On January 8, 1902, a southbound train in the New York City Park Avenue Tunnel overran several signals and collided with another southbound train, killing 15 people and injuring over 30 more. For years, steam-powered trains converging on Grand Central Station had been injuring and killing pedestrians while simultaneously polluting the air with soot and deafening noise. This fatal collision was the final straw after years of injuries and fatalities that had occurred as a result of the overcrowded train station, and it catalyzed a revolution in transportation. The gruesome crash prompted William J. Wilgus, chief engineer of New York Central Railroad, to design and lead the construction of a new Grand Central Terminal from 1903 to 1913. At the same time, he implemented a bold new technology to safely run a large railway yard in a growing metropolis: electrified trains. The massive project—which seemed almost unimaginable in scale—drastically altered the infrastructure of the NYC railway. Workers razed existing tracks and tunnels and dug a colossal double-decker tunnel running underneath Manhattan. The project, while spanning 10 years and costing $114 million (approximately $2.025 billion dollars by today’s standards) proved worthy of the cost, as it resulted in quieter, safer means of transportation, and successfully reduced accidents, smog, and congestion. Today, over 100 years later, we are on the cusp of another massive revolution in urban transportation: smart mobility. So, What Is Smart Mobility? Smart mobility integrates all modes of transportation and infrastructure: cars, including rideshares, autonomous vehicles, and semi-autonomous vehicles; bike-shares; traffic signals; buildings; parking spaces; emergency vehicles and people; and it utilizes sensors, software and data platforms to streamline all of these elements into one coherent system. As with electric trains of the early 20th century, the emergence of smart mobility in the past five years is a major paradigm shift in the world of transportation. Ultimately, the gains of adopting smart mobility will far outweigh the initial monetary costs. Cities with effective smart mobility programs will see a decrease in death and injury caused by human error, a decrease in congestion, and increased economic advantage. Smart mobility is the ultimate practical example of the Internet of Things (IoT) in which all modes of transportation and user interfaces are able to talk amongst themselves via a network of wireless communications. This enables citizens to make the best choices for transportation while increasing safety, minimizing commute time, decreasing the negative effects of congestion, and maximizing productivity. While there are many considerations that did not exist back in 1902 when electric trains were integrated into urban transportation (cybersecurity, data paths, WiFi, 5G, Dedicated Short Range Communications- or DRSC, the integration of autonomous vehicles with regular cars, ridesharing, etc. ), the problems we seek to resolve are the same: create safer, cleaner and multiple modes of transportation for all citizens that can be integrated seamlessly over time with minimal disruption to mobility and revenue streams. The opportunities for transportation advancement are limitless, including business opportunities for automotive, artificial intelligence, machine learning, and data service industries. However, if city planners, local and state governments, and industry leaders do not work together to adopt smart mobility, then traffic accidents will continue to cost lives and burden the economy; congestion will continue to bog down commerce and productivity, and excessive cars on the road will continue to pollute the air on a massive scale. The need for smart mobility is evident in the unstable annual rate of traffic accidents. According to the National Highway Traffic Safety Administration (NHTSA), distracted driving killed 3,450 people in 2016 nationwide, an increase of 8 percent since 2014. The National Safety Council estimates that in 2017, 40,100 deaths occurred as a result of vehicular accidents—a 1% decrease from 2016, but also a leveling off of the steepest two-year increase in traffic deaths in more than 50 years. In addition, about 4.57 million people were injured seriously enough to require medical attention in motor vehicle crashes in 2017, and costs to society totaled $413.8 billion. But the question remains, how can smart mobility help to solve these issues? Currently, Advanced Driver Assistance Systems (ADAS) help to prevent accidents by warning drivers of impending dangers and assisting them with various safety measures, such as emergency braking and warning lights for objects in a driver’s blind spot. Increased levels of autonomy and connected systems can take this assistance a step further. Vehicle to Vehicle (V2V) and Vehicle to Everything (V2X) technologies enable cars to warn each other of hazards ahead. In light of a great many tragic traffic accidents, autonomous vehicles have the potential to remove the foibles of human driving from the equation of mobility and create wide-spread, safe modes of transportation. Consider the risk of accidents involving vehicles in autonomous mode versus the human driver. The question we need to ask is: are humans better than artificial intelligence at making decisions in the context of driving? In 2016, 94% of vehicle crashes were caused by human error, including distracted and drunk driving. In any given driving scenario, there could be hundreds of “right” or “wrong” decisions when it comes to accident avoidance, and not everyone will agree on the “right” choice in each scenario. An autonomous vehicle—as part of the smart mobility ecosystem of machine learning and artificial intelligence—could potentially calculate the best action to take in any scenario, having learned from thousands of situations experienced by other cars. It would be equivalent to a driver in Atlanta who has never driven on ice knowing the best speed and braking combination for safety based on a second driver’s experience in Canada. Smart mobility is the answer to a dire need to increase safety on the road, and, as the technologies therein continue to improve, we will see a decrease in fatal accidents over time. As the world’s population grows, city congestion will crescendo from a daily inconvenience to a gridlock crisis resulting in devastating effects on the economy and environment; goods will not be delivered on time, emergency personnel may not be able to quickly save lives, and people will struggle to breathe due to the intense smog in the air. 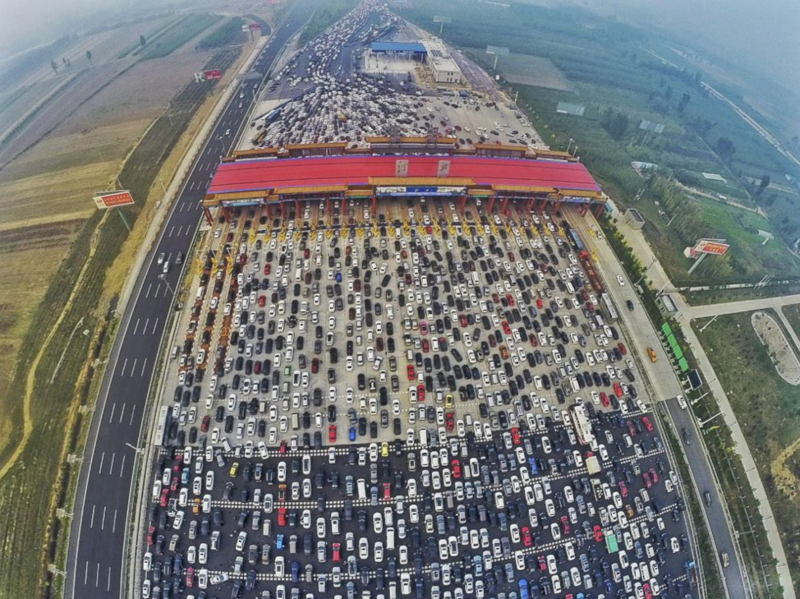 In China, congestion has already surpassed crisis levels. In 2010, it was there that the worst traffic jam in history occurred, lasting 12 days and spanning 74 miles, and there have been several epic traffic jams since that instance. In 2017, Daniel B. Work, assistant professor at the University of Illinois at Urbana-Champaign, led a study that demonstrated that even a seemingly insignificant presence of autonomous vehicles (one out of 20) can mitigate the wave effect that occurs with human drivers, reducing the total fuel consumption by up to 40 percent. Furthermore, V2V technology has proven an effective means of preventing accidents by enabling cars to warn other cars of hazardous conditions that could lead to accidents. During the Consumer Electronics Show (CES) 2018, Qualcomm demonstrated an example scenario of how smart mobility can potentially save lives with V2X (Vehicle to Everything) technology: if a car crashes and the injured are incapacitated, the car itself could signal the nearest ambulance, which would in turn signal to other cars to get out of the way. Concurrently, stoplights could automatically change to allow the ambulance to safely pass through intersections, minimizing the risk of running red lights. Cities that implement such technological means ensure that their emergency personnel can get on scene faster, potentially saving more lives. This type of technology could carry over in times of natural disaster as well—smart mobility as part of a larger smart city infrastructure can tell where utility and transportation problems exist, where victims of natural disaster are located and could expedite the process of rescue and recovery. Recent studies have shown that the rise in consumer use of Uber and Lyft has resulted in increased levels of urban congestion because riders are choosing these modes of transportation in lieu of public transportation, resulting in greater numbers of cars on the road. The ridesharing function of these companies could, in theory, mitigate this increase, but the problem remains that ridesharing (as with carpooling) adds time to commutes and the savings for consumers are not always worth the extra time. However, if the flow of traffic is made more efficient via V2V and V2X technology, public transportation (possibly to include autonomous mobility on demand or AMOD) is made more accessible. As such, fewer people in urban areas own cars due to the increased convenience of a shared mobility, meaning the benefits of smart mobility will be realized. When cars are too costly and inconvenient to own, and shared mobility replaces all the benefits of car ownership, then the reason to own a car— especially in urban areas—will be almost completely diminished. Liberty Advisor Group is a mission-focused advisory and strategic consulting firm. We partner with our clients to solve their most complex business issues and to improve enterprise value. 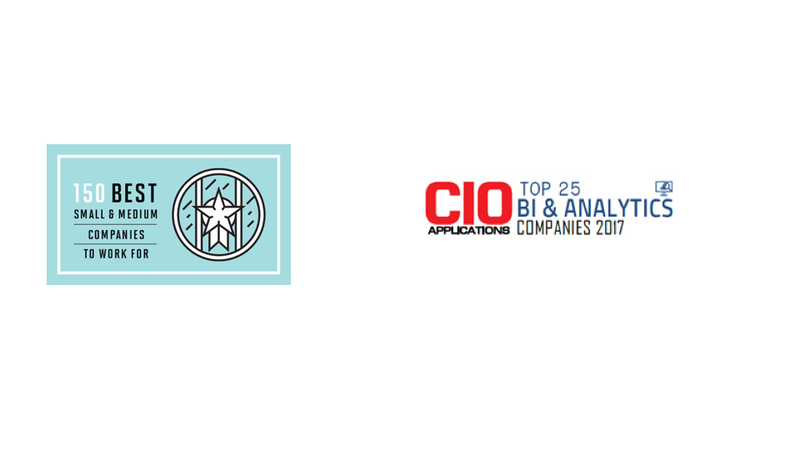 Our experienced team has a proven track record in Business and Technology Transformation, Data Analytics, Business Threat Intelligence, and Mergers and Acquisitions. We offer original thinking combined with the use of factual data to develop comprehensive, situation-specific solutions that work. With straight talk and proven results, we accelerate growth, drive efficiency and reduce risks. We are experienced. We are doers. We are Battle-Tested. Interestingly enough, the mass production of cars came at the heels of the emergence of electrified trains, creating an exponentially more profound change in transportation.